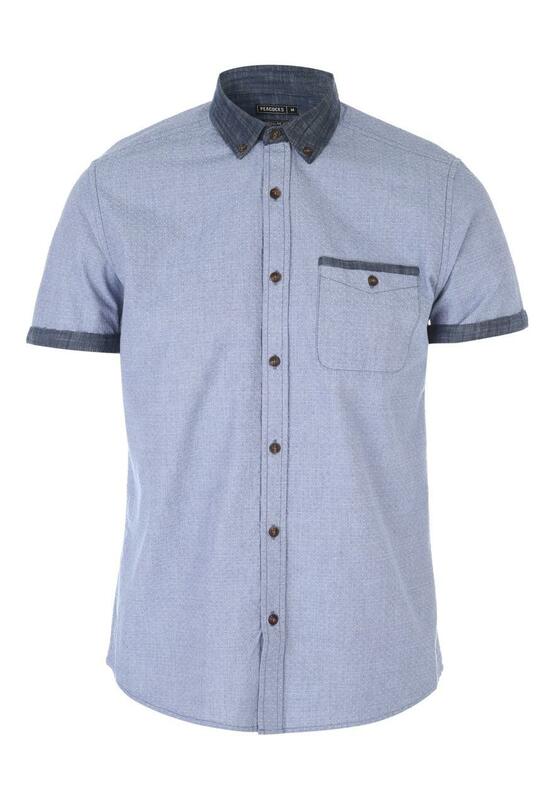 Take your smart/casual wardrobe to stylish new heights with this men's short sleeve jacquard collar shirt. 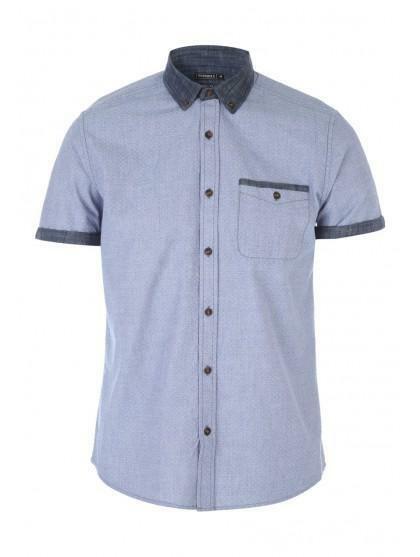 Featuring a regular fit and a buttoned breast pcoket, this shirt is perfect for teaming with jeans and smart shoes on nights out. *10% off full priced ENVY. Online only. Limited time only. Subject to availability. Cannot be used in conjunction with any other offer or promotion.